I'll be honest, I was surprised to see anything green in new York outside of central park. But what do you know, they had trees in the Upper East Side where we were staying. It was really pretty. 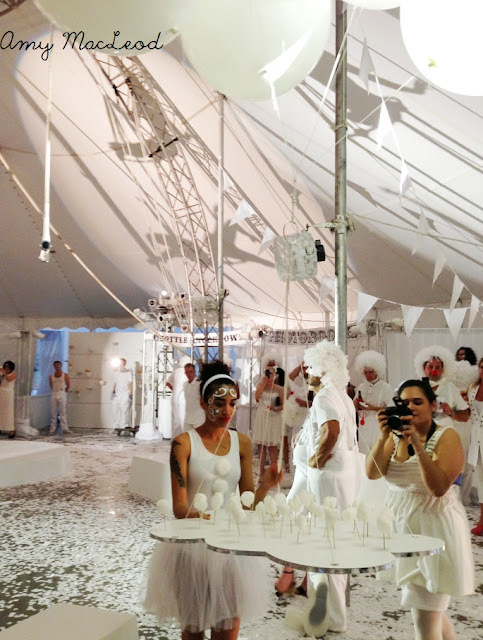 Highlight of NYC: My husband's work's annual White Party. I don't think there are words... but everything is white and they don't hold ANYTHING back. 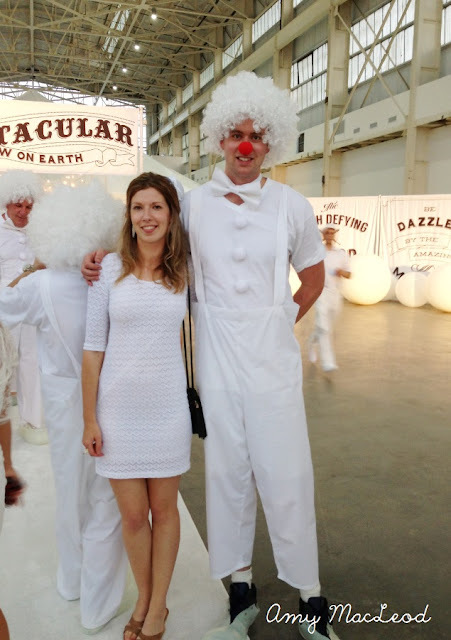 This year the theme was circus and the party was held in a white circus tent, with white gourmet food, and all the men were given white clown outfits to wear. 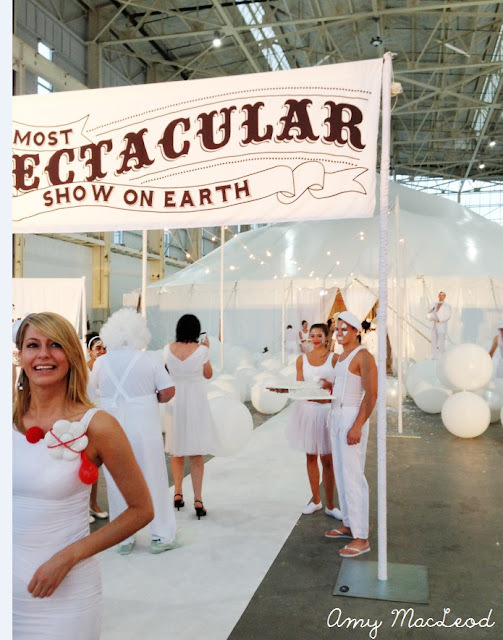 Throughout the night performers did their thing - trapeze artists, sword swallowers... I can't really do it justice here. 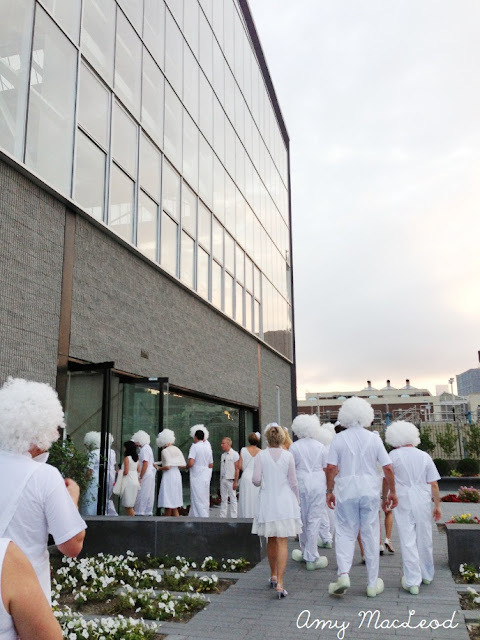 Thank goodness the ladies got to wear our own white dresses. 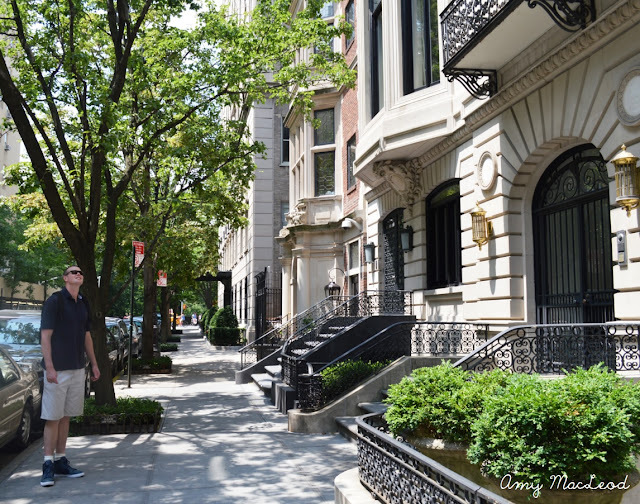 New York seemed crazy to me, especially after the surreal, quiet little bubble of paradise that is Nantucket Island. We absolutely loved both places, but I have to say, I'm not sure if I could live in this? Other highlights of New York were my first experience of Anthropolgie (I nearly lost it. Like actually teared up in the shop) and getting to know the streets, the neighbourhoods, central park and watching Lion King of Broadway. Thus concludes our amazing 2 weeks in the USA. Amy - I'm so glad to hear you a great trip to the US. The white party looked like so much fun and you looked fabulous in your own white dress! I agree with your Anthropologie thought. It is a beautiful store full of great decorating ideas. OMG, what a fun looking event!!!!! No surprise since New York is full of surprises ... and trees (haha). 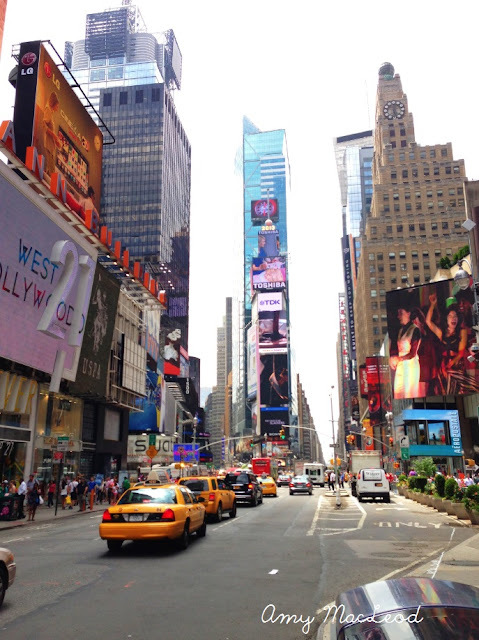 I live 30 min fr nyc ...i love nyc's busy energy, and the quietness of my home town.